I have been in a muffin mood lately which I hope you are going to enjoy. A couple weeks ago I posted some chocolate muffins which were quite tasty. Well, a certain co-worker of mine does not like chocolate. Crazy, I know. Since I am a great boss, I decided to make another muffin which I hoped this person would enjoy. I also just so happen to love lemon. 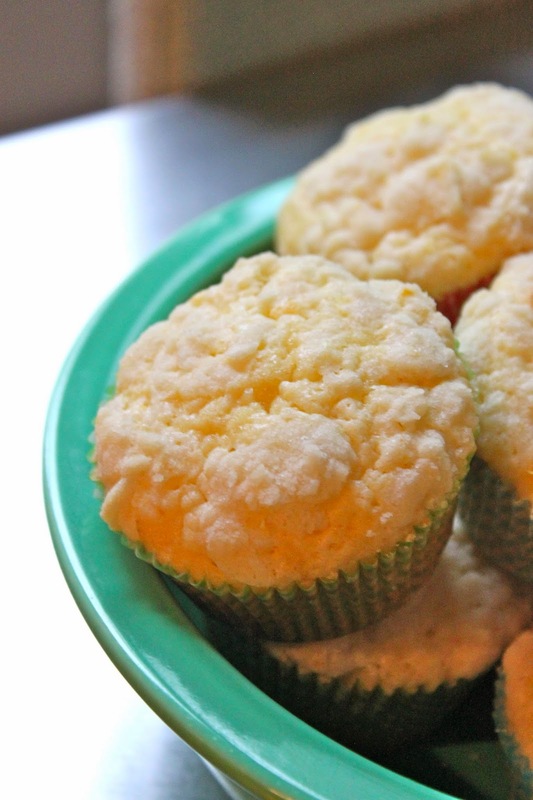 These muffins are really refreshing and perfect for spring. I think they would be a great addition to a brunch table. They are definitely on my go-to muffin list now. In other news, my family of three is now a family of four. We had a our little girl this past Thursday. She looks just like her big brother did as a baby and is perfect. She seems to have a mellow demeanor, but at only a week old we will just have to wait and see what the future holds. Preheat oven to 350 degrees Fahrenheit. Line a muffin tin with 10 paper liners. Mix flour, sugar, baking soda, and salt together in a large bowl. Whisk eggs, sour cream, melted butter, lemon zest, and lemon juice together in a separate bowl until smooth. Pour wet mixture into dry mixture and stir until just combined. 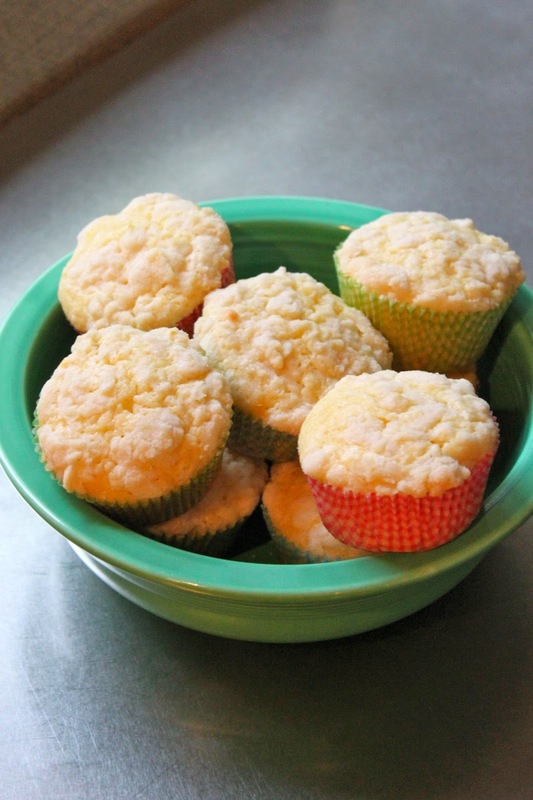 Pour batter into the prepared muffin cups, filling 3/4 the way full. Mix the flour and sugar together in a small bowl. Cut cold butter in to the flour mixture until it resembles coarse crumbs. Sprinkle crumb mixture atop each muffin. Bake in the preheated oven 20-25 minutes, until a knife comes out clean. Cool for five minutes in pan before removing to wire rack to cool completely.